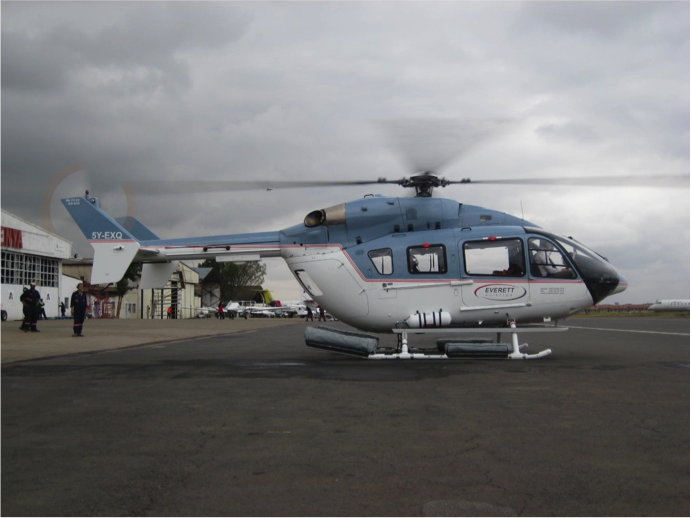 The Ultimate, Multi-Role Helicopter In operations on land and at sea, the Airbus H145 is at the top of its class in the medium-sized, twin-engine helicopter category. With up to 11 seats for pilots and passengers, this multi-mission helicopter combines Eurocopter’s latest developments such as an advanced cockpit design, avionics and a sophisticated electrical system. The H145 has made its mark particularly among air medical service operators – winning competitions based on the aircraft’s speed, advanced glass cockpit, extra-large cabin and exceptional visibility. With high-set main and tail rotors, the H145 ensures safe ground operations, even during “hot” loading/unloading with blades turning.